Tinned copper stranding for maximum protection against corrosion, electrolysis and resists fatigue due to vibration and flexing. 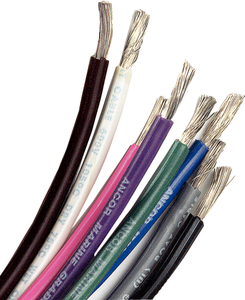 Rated at 600 volts and 105 degrees Celsius, the heavy duty insulation is resistant to heat and abrasion. Exceeds all UL 1426, US Coast Guard Boat and ABYC standards.